Manchester United are dominating news stories around the globe this season, and most sources don’t have plenty of nice things to say about the Red Devils. A club steeped in glory and tradition has found its image tarnished in the past few weeks following rumours of a dressing room protest against the policies of manager Jose Mourinho. Amid the speculation surrounding the future of the Portuguese, his replacement has been named in the papers as Zinedine Zidane. The Frenchman has never expressly mentioned his desire to be the next man in charge at Old Trafford. Nonetheless, he does look like the first option in case Mourinho does end up being sacked. But reports from Le Parisien now suggest that the former Real Madrid coach could be looking at options other than England altogether to further his managerial career. 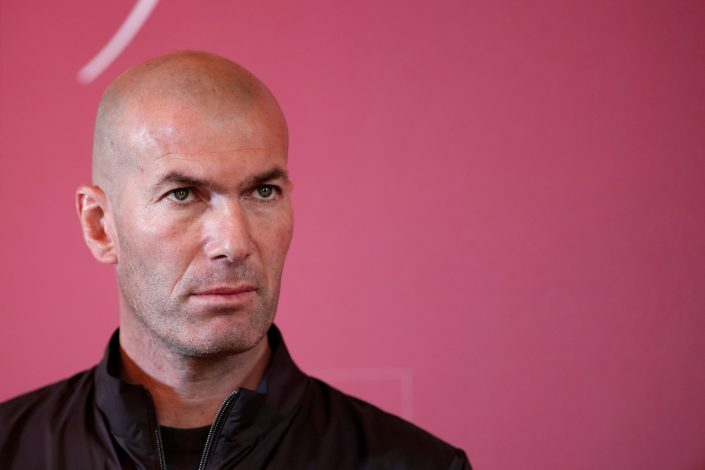 Zidane has been on a sabbatical since resigning from the post of manager at Real Madrid, after having guided Los Blancos to three successive Champions League crowns as well as one La Liga trophy. Since moving on, however, rumours of a possible return just haven’t gone away, and the turmoil at Manchester United seemed like the perfect time to intervene for the legendary player-turned-manager. Antonio Conte And Beppe Marotta To Reunite In England? But the report says that Zizou would instead be more tempted to reunite with his former club Juventus, and that it would be a dream return to a club that the Frenchman has admired for a very long time. Moreover, he also speaks fluent Italian, and doesn’t speak English, which could be another deterrent in his move to England. The report further claims that he doesn’t want to ruin his image in Manchester. Massimiliano Allegri is doing a fine job at Juve at the moment, but Zidane would be willing to wait it out, as he enjoys his days off and plots his next possible place of employment.